This is a Special Week at Comic Book World! We have New Comics on Wednesday 10/10 and Saturday 10/13, which is WALKING DEAD DAY. 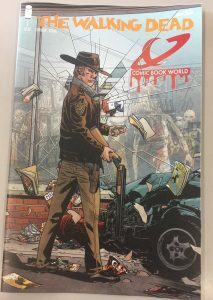 Don’t miss your chance to get COMIC BOOK WORLD’S Exclusive Walking Dead Day #1 Cover on Saturday.